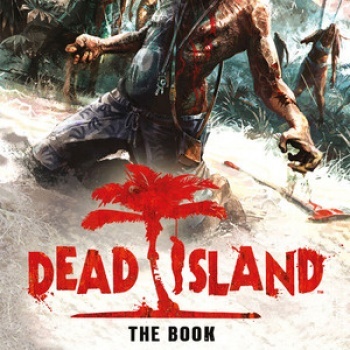 Can Dead Island's Novelization match its award winning trailer? Judging by what we've seen of the upcoming zombie bashing-sim Dead Island, the only thing it has in common with its absolutely haunting first trailer is its title. Many gamers, myself included, are wondering if the game's final narrative can possibly reach the high bar set by its trailer. My prediction? Probably not, but the newly announced book just might. The imaginatively titled Dead Island: The Book written by UK based author Mark Morris will hitting UK shelves on September 8th. Though a veteran horror writer, Morris is no stranger to adapting other people's work, having written novels based on Hellboy, Doctor Who and Torchwood amongst others. The book itself will be based on the game's narrative which means sadly, no, it won't be written backwards though Morris did add that it was the trailer that caught his attention in the first place. "Having marveled, like the rest of the world, at the stunning trailer earlier this year, I absolutely leaped at the opportunity to write the official Dead Island tie-in novel," he said. Sounds promising enough, but if the book doesn't satisfy your thirst for sad piano music and defenestrated children then perhaps the upcoming movie might. Within days of the trailer's release there were already reports of a movie deal, that will use the same Memento-esque structure as the beloved trailer. Dead Island: The Book will be published by Bantam and arrives in the UK on September 8th, no word on an international release just yet.